Back to nature. Elemental. A safari like a safari should be. The pure power in the lion’s fang. The bedraggled female hyena exiled from her clan. Camel thorn trees festooned with weaver bird nests. Hippos wallowing in muddy pools. Old dagga boys looking warily in both directions, oxpeckers nibbling. Camaraderie around the campfire. Stories to share. An adventure to remember. This is “Adventure Camping” in small 2-man dome tents, i.e., basic camping without all the facilities of the fancy lodges. The big attraction here is being in small campsites in exclusive wildlife conservancies with activity-packed itineraries. 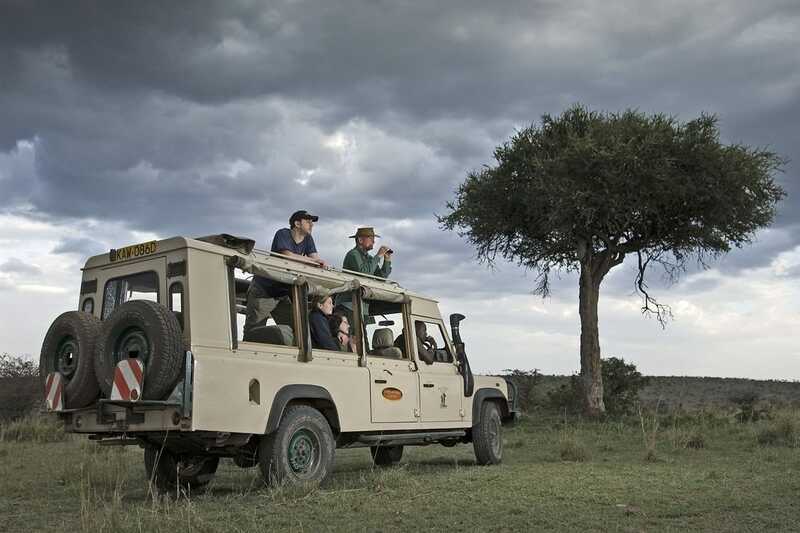 This safari offers excellent guides and game drives in open-sided 4×4 safari vehicles, not vans. After spending an initial night at the new Eka Hotel in Nairobi, you will catch your early morning flight to Selenkay Airstrip just outside Amboseli National Park. All the big cats have been seen in the conservancy as well as elephants and a wide range of species including large numbers of giraffes, zebra, and antelopes. But Amboseli is most famous for its elephants and its views of Kilimanjaro and you will see those too. The second half of the trip will take you to the world famous Masai Mara. Here, you will be camping in an exclusive conservancy adjoining the Mara, although we will also make a full day trip into the Reserve itself. The Mara ecosystem offers arguably the most prolific predator sightings in the world. All guests who book the Adventure Camping Safari need to bring or rent their sleeping bags & towels. Each tent comes with attached bath and flushing toilet. High density mattresses are provided. All meals are prepared by the camp cook. Mineral water is provided but guests need to buy their own drinks at a supermarket en route to each camp. Recommended months: January – March and July – October. This fly-in safari begins and ends in Nairobi. 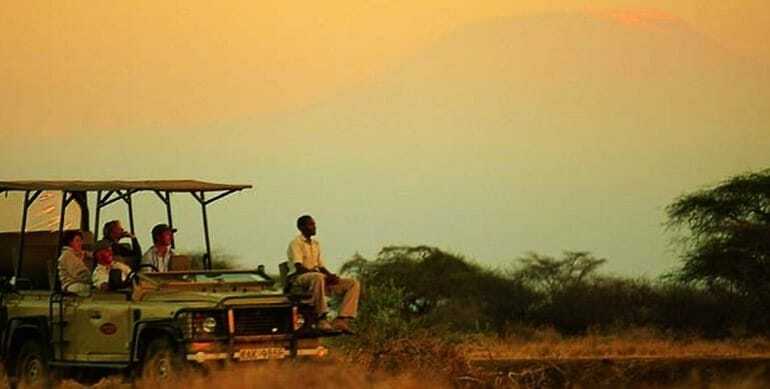 Flights from Nairobi to Selenkay Conservancy, Amboseli & Masai Mara are included.